Coach Sofi is a lifetime athlete passionate about helping athletes reach their potential. 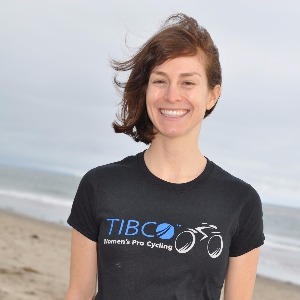 She believes in supporting cyclists through a well-rounded approach that includes specific training plans, ride/race analysis, sports psychology techniques, race tactics/strategy, nutritional consultation, and life balance. Four levels of customized cycling programs for athletes of all levels, from elite racer to beginners. Maximal Performance in Minimal Time. I am a lifetime athlete passionate about helping people pursue their dreams and reach their full potential. My strengths include race strategy, sports psychology and achieving maximal performance in minimal time. I specialize in working with individuals who strive to maintain a balanced life among work, family, friends and cycling goals, but aren’t sure how to do it. I am a Cat 1 cyclist with deep experience specifically in women's cycling. My background includes working with UCI professional women's cycling team Team TIBCO-SVB, as well as administering VO2 metabolic testing, leading Computrainer classes and coaching elite gymnastics. I am also a Certified Sports Nutritionist and enjoy discussing the intersection of nutrition and performance. Success. Coach Sofia Marin has been notified of your message.